During the holiday of Passover, a time in which we celebrate our national freedom, it is important that we remember that many women’s freedom – a right so basic and so obvious – has been taken from them by the hands of their own husbands, who refuse to give them a get, in spite of the fact that the marriage has failed and cannot be restored. Gilat Ma’atuf, who was denied her get for years, obtained her freedom after an ongoing struggle and years of feeling “neither married nor divorced.” Here is one typical story out of a great many; next year as free women? “I am a single mother but I am married. Yes, there is unfortunately such a thing– when one’s husband decides to pack up and leave but doesn’t bother giving his wife a get (Jewish writ of divorce), even if he is in a relationship with another woman. In such a situation one becomes a married single mother. But I am neither married nor divorced. I live in limbo, in a vacuum. 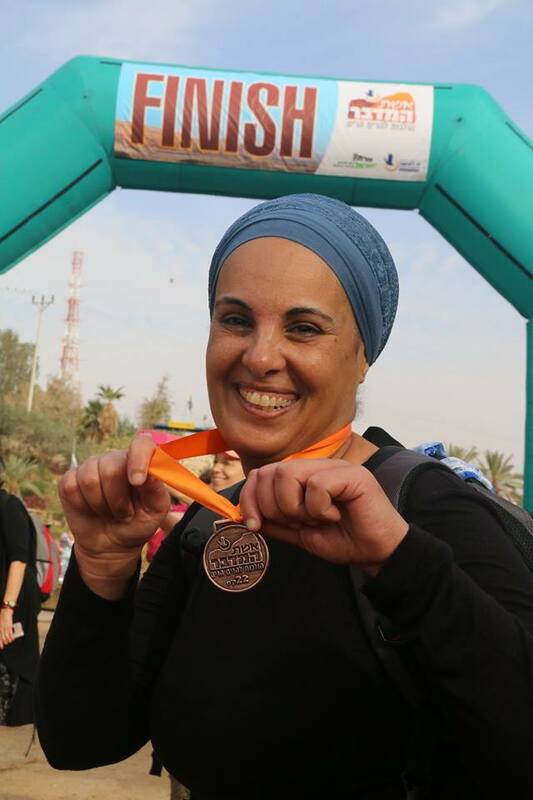 I’m stuck in a life where there is no possibility of moving forward.” These are the words written by Gilat Ma’atuf, in a blog she created. Gilat was married for 25 years and had six children; her husband decided to leave the house, moving in with another woman a few months later – despite still being married to Gilat at the time. He was free to do as he pleased; her hands were tied. A married woman who is in a relationship with a man who is not her husband is considered an adulteress; it goes without saying that she cannot get married to another man. In Gilat’s case it was the husband who wished to separate and divorce, and yet this did not stop him from refusing to give the get under various pretexts. During all this time the husband did not pay alimony, despite a ruling from the Family Court ordering him to do so. Gilat discovered she was all on her own, in debt, and the sole provider for her six children. She describes how it was: “It was a difficult period. I would come out the court shaking from sheer frustration and helplessness but still go to work with a fake smile on my face, while my hands shook under the table. When I arrived back home I would enter my room and cry alone… I became dysfunctional at home. I collapsed, literally; I had no energy. The little energy I could muster went on getting out of the financial mess I was in and putting on a brave face. Ma’atuf turned to Yad La’isha: The Monica Dennis Goldberg Legal Aid Center and Hotline, an organization under the auspices of Ohr Torah Stone, which offers emotional and legal support to women trapped in unviable marriages or whose husbands refuse to give them a get, and obtained from them legal representation in the Rabbinical Court. At the same time she waged war on Facebook, continuing to upload posts about her struggle for freedom. Friends and acquaintances were surprised; it hadn’t occurred to them that, after four years, she was still married. The pressure of Facebook bore fruit; at one court hearing her husband actually admitted that he was embarrassed to be seen on the moshav. 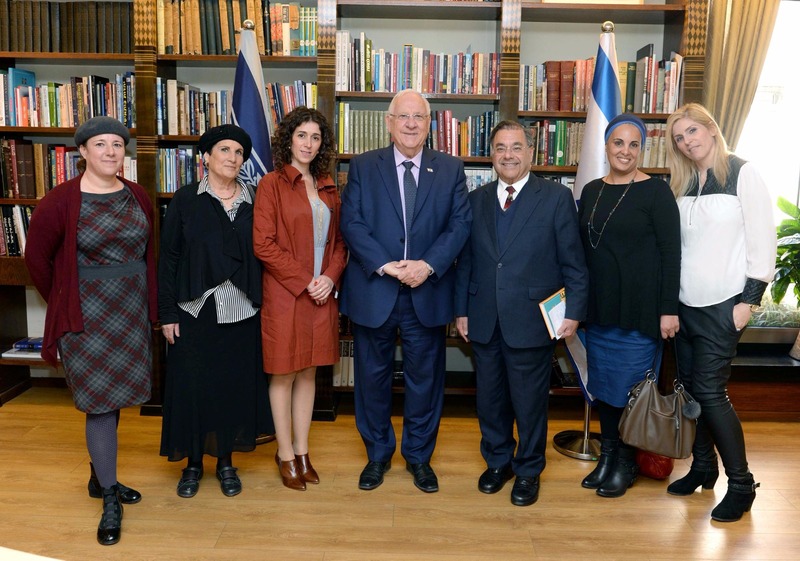 Between the war waged on Facebook, the legal representation provided by Yad La’isha, a meeting with President Reuven Rivlin in the President’s House , as well as the painful (and quite extreme) concessions she had to make, Maatuf finally received her sought-after get. Gilat doesn’t spare her criticism of the Rabbinical Courts: “Typical recalcitrant husbands do so for financial reasons. Unfortunately, we are talking about actual extortion which bears the Rabbinical Court’s seal of approval. It is not uncommon for the court to present a woman with an offer such as ‘pay him more, so he will release you.’ Not only do these women have to deal with financial difficulties and raise their children on their own while the recalcitrant husbands don’t pay child support, they also have to pay to obtain their own get. But freedom has no price, and for one’s freedom one is willing to pay anything. The role of the Rabbinical Courts is to give rulings. It is not to drag out proceedings or even to serve as mediators. There are some rabbinical judges who really do act, render decisions and coerce the husband into abiding. One lawyer told me that a certain Rabbinical Court saw that a husband was intentionally drawing out the divorce and said to him: ‘If you don’t give her a get right away we will throw you in prison and you will be subject to shaming.’ The words had an immediate impact and the husband capitulated right away, granting her the get. However, there are Rabbinical Courts that do drag out the process and withhold their ruling. “In one of the later hearings we brought proof to show that my husband was in a relationship with another woman, and they still would not coerce him into giving me a get, only recommending that he do so… this was after five years of being in and out of their courts, and all I got was a recommendation for a get,” says Gilat. Does this mean the court did not necessarily see your case as one of a recalcitrant husband refusing to give a get but rather viewed it as a couple’s dispute? Why does society embrace such recalcitrant husbands? Ma’atuf believes the public doesn’t have enough awareness when it comes to sarvanut get (recalcitrant husbands refusing to give a get to their wives): “In retrospect, had I been exposed to the issue of sarvanut get before joining forces with Yad La’isha things would have played out differently. People are simply not aware of this issue; society must understand that it bears a huge responsibility as well. “If my ex-husband’s friends had explained to him that what he was doing was wrong, and had severed ties with him as a result of his actions (as some did) he would have gotten the hint. If society had ceased to accept him and had not handled him with kid gloves, my story would have ended much sooner. This is why I say that society has a responsibility. If people see a husband refusing to give his wife a get, or even one who ‘merely’ drags things out – they should understand there is more at stake here. If it were just about disputes or differences of opinion, there is no reason for it to draw out over five years, or even two or three years. How does it help joining an organization like Yad La’isha? “The organization specializes in field,” Galit explains. “Their staff members know how to address the Rabbinical Courts and the judges in their own halakhic language. The female lawyers and rabbinical advocates employed by the organization have a broad knowledge of the issues at hand. Unfortunately, they have to handle dozens of cases; but this makes them very knowledgeable in the field and they come with a great deal of experience. Are there any personality traits that might be indicative of a potentially recalcitrant husband? “No. It can happen to anybody. There are recalcitrant husbands of all sorts and types, from all walks and of life and socio-economic circles; from all ethnic groups and factions, religious or secular – you can never know from where it will hit you and when. When I first got to know my husband, it never occurred to me that such a thing could happen. Even as it was happening, I didn’t quite grasp it was really happening, because I didn’t think it could happen to me. Only after four years had elapsed did I suddenly realize. Before reaching out to Yad La’isha I was not even aware that I was a mesurevet get. Gilat fought for her freedom for a period of five years, and it was not an easy battle. It involved children who were torn between mother and father; it entailed obtaining a get and being completely subject to the whims of one man; it was about a woman who was like putty in the husband’s hands until he deemed it right to let her go. During this period in time, when we celebrate our freedom, it is important that we remember that many women’s freedom – a right so basic and so obvious – has been taken from them and placed in the hands of another. Let us help them in their fight for freedom.